NAR conducted a Town Hall Meeting for REALTORS® who were planning to attend the 2014 REALTOR® Party Convention & Trade Expo. The Town Hall Meeting took place on May 8th, 2014 at 2 pm EST. 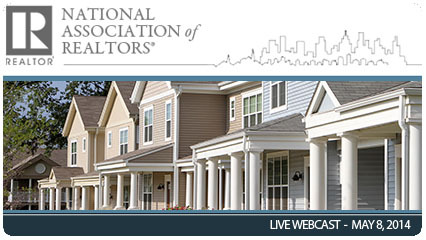 During this live webcast NAR Chief Lobbyist Jerry Giovaniello highlighted the issues REALTORS® were to present during meetings in Capitol Hill offices. NAR's lobbyists, policy staff and political representatives were available to answer questions from the audience.